The gallery contains photos of many of compact N and Z Gauge layouts that have been produced for previous customers. Each one is a stunning highly detailed scene which is carefully created to look bigger than it really is. Most layouts come with lighted buildings and many feature electrically operated points and working signals. The layouts come with a case for protection, ease of storage and portability as well as a storage area for trains and controller under the layout. A variety of case finishes are available to choose from. 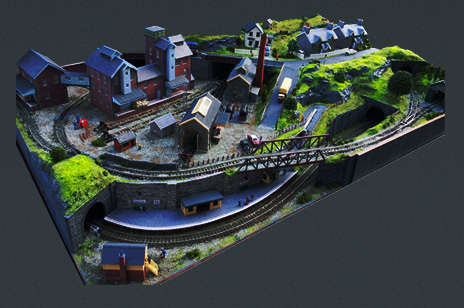 Why not look through the galleries and then talk to us about your dream model railway layout!